The Super Nintendo Entertainment System was Nintendo's second home console, following the Nintendo Entertainment System (often abbreviated to NES, released as the Famicom in Japan). Whereas the earlier system had struggled in Europe and large parts of Asia the SNES proved to be a global success, albeit one that could not match its predecessor's popularity in South East Asia and North America - due in part to increased competition from Sega's Mega Drive console (released in North America as the Genesis). Despite its relatively late start, the SNES became the best selling console of the 16-bit era but only after its competitor Sega had pulled out of the 16-bit market to focus on its 32-bit next generation console. 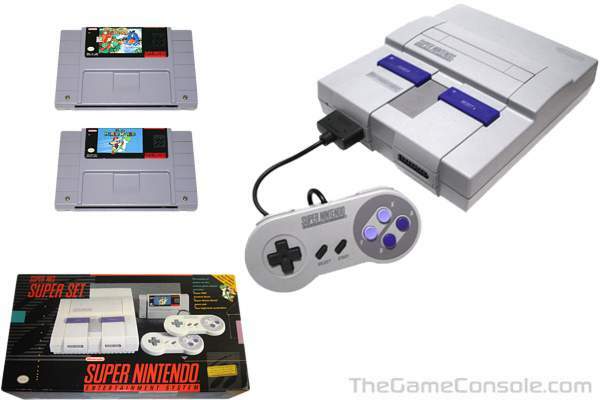 Nintendo released the Super Nintendo Entertainment System which initially sold for a price of $200. The North American package included the game Super Mario World. The SNES was released in the United Kingdom and Ireland in April 1992 for �150, with a German release following a few weeks later. The PAL versions of the console looked identical to the Japanese Super Famicom, except for labelling.